Nigeria has the highest absolute number of female genital mutilation. According to UNICEF, 2013, about 20 million women and girls (10% of the global total) in Nigeria have undergone female genital mutilation. Imo state is among the states in Nigeria with high prevalence of FGM, and there have been incidences of the practice in Okigwe Zone. If nothing is done to end FGM, more women and girls could be victims of this barbaric practice. No single person can end FGM, and there is need to raise advocates who will be actively involved in fostering community actions against this abuse. 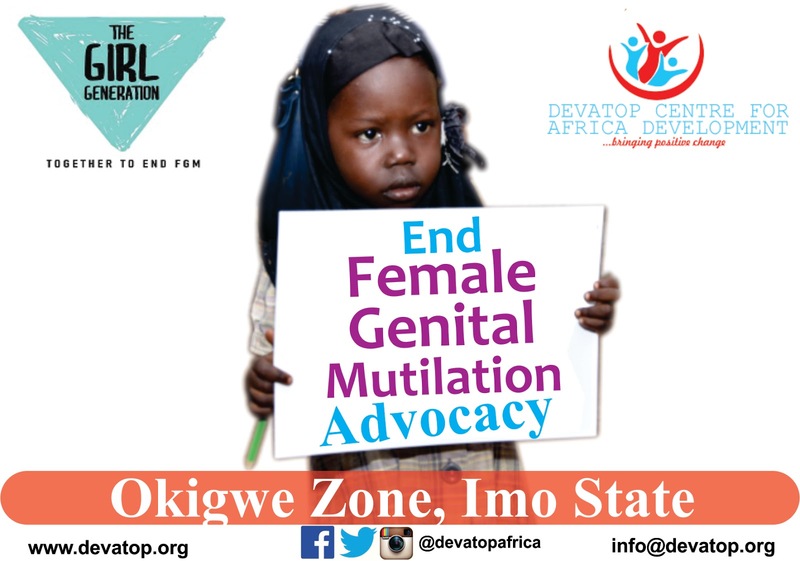 To reduce the incidence of this violation of human rights of women and girls, The Girl Generation has given grant Devatop Centre for Africa Development (DCAD) to execute End Female Genital Mutilation (FGM) Advocacy Project (a six(6) months project) in Okigwe Zone. End FGM Advocacy is an innovative approach to foster community awareness and action by training youth, educators, health workers, survivors and women as End FGM Advocates and engaging them and other relevant stakeholders to advocate for the eradication of FGM in all the six (6) local government areas of Okigwe Zone. It will promote societal dialogue and the empowerment of communities to act collectively to end the practice, and stimulate community/traditional rulers, women, youth and decision makers to play strategic roles in eliminating FGM with sense of urgency. Through the project activities, traditional rulers, religious leaders, youth, grassroots networks and those who have suffered from FGM will start speaking out and be at the forefront of eliminating this human rights abuse. The Nine thousand six hundred dollars($9, 600)grant from The Girl Generation will be utilized on mobilizing, training advocates; engaging traditional rulers, religious leaders, and relevant stakeholders to promote the abandonment of FGM in the six (6) local government areas in Okigwe Zone. After the training 100 educators, youth, survivors, civil society organizations, religious members, health care providers, NYSC members, and community volunteers, they will be given the necessary resources to carry out step-down activities (Pass-It-On) in their various communities. The project will impact over 20, 000 people in Okigwe and beyond. About The Grantor (The Girl Generation): The Girl Generation is an Africa-led global collective of members and partners brought together by a shared vision that FGM can – and must – end in this generation. The Girl Generation is a platform for accelerating social change, bringing together hundreds and thousands of voices under one positive identity, which challenges the social norms that hold FGM in place. They achieve this by contributing to the growth of the Africa-led movement to end FGM, by strengthening social change communications, sharing inspirational stories of change, and leveraging resources. About the Grantee (Devatop Centre for Africa Development): Devatop Centre for Africa Development is a youth-led organization with focus on combating human trafficking, gender-based violence (including female genital mutilation), other human rights abuses; and providing educational supports to vulnerable children and girls. 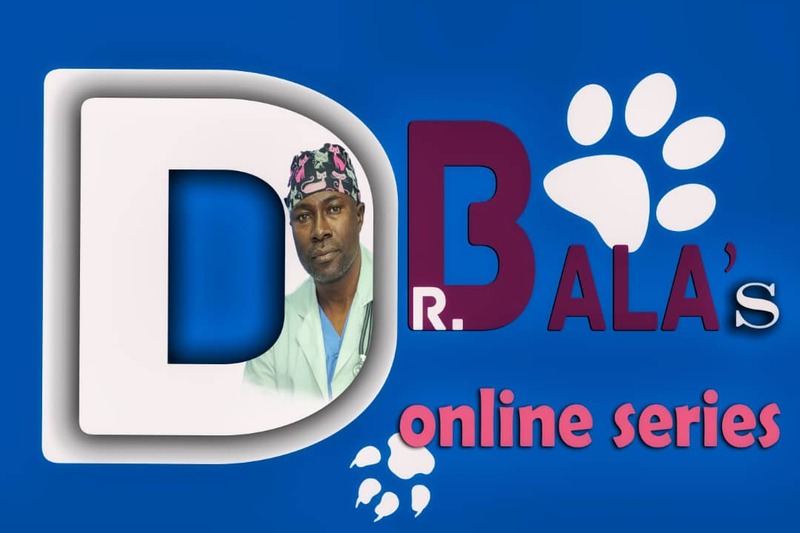 Overtime, Devatop has impacted over 5000 people through training, advocacy and empowerment projects, and 400 000 people through media and community outreaches. Devatop has been committed to raising and engaging young people and women as advocates/activists to combat different forms of human rights abuses.